Mark and I were lucky enough to be Official Roving Twitter Reporters for Second Harvest's largest fundraiser, Toronto Taste, and it was a BLAST! 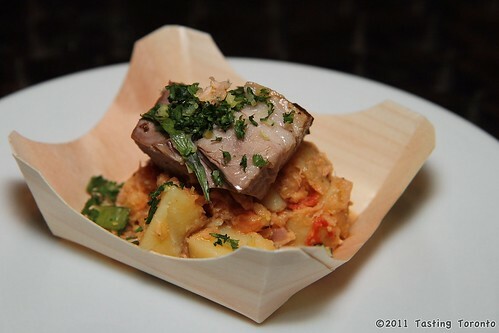 If you do only one charitable thing next year, make sure it's Toronto Taste - it was a ton of fun for a great cause! Since the first Toronto Taste 21 years ago (then known as Taste of the Nation), the event has raised over $4 million, enabling Second Harvest to secure enough fresh food to deliver over 8 million meals to those in Toronto living with hunger. That’s enough to feed almost every one of Regent Park’s 2,045 families with children three square meals a day for a whole year. 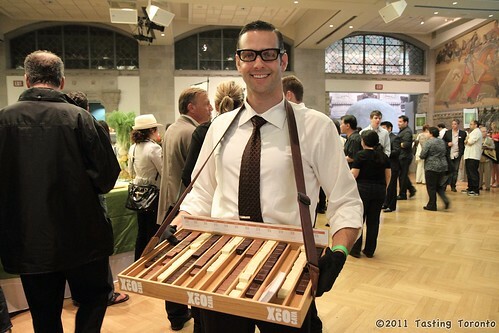 As it's held at the Royal Ontario Museum, the ambiance was great - with the way it's set up, you get the best of both worlds - food and drink were served up by 60 top chefs and 30 beverage purveyors both inside and outside the ROM. There was live music plus a ton of opportunities to win great prizes through a raffle as well as via live/silent auctions. We also learned, again from our friend Steve Riley at Better Beer.com, how to taste beer. Check out the diagram to the left or visit his site to find out more! 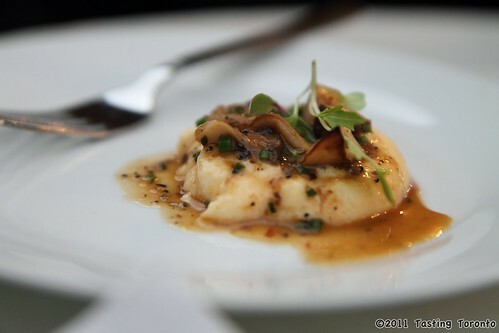 Like I said, if there is just one charitable thing you do next year, make it Toronto Taste. You will not be disappointed! Yummy. That looks like a mouth-watering combo. Did Steve say anything about how to use the pairing chart? I checked out his website but I didn't see any pointers on how to use it. YUM. Jealous jealous jealous. I am really wanting a salted caramel now...with or without an old-fashioned dude serving it to me. Directly below: *Malts* often give the sweetness to a beer, as you'll see chocolate and caramel as two of its flavour profiles. Top right: *Hops* give these flavour profiles. If you've had a beer that tastes peppery, it's likely from the hops. 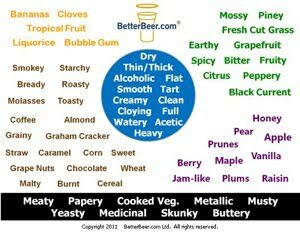 Below that: *Flavours or combos* - can be something brewers have deliberately added to the beer. Very bottom (black bar): These are *faults* - you DO NOT want to taste these in your beer.